Based in Hargeisa the Finance/Administration Manager & Logistician is responsible for the Financial Accounting, providing Human Resource support and Premises management. He/she also supports the Sub Delegation in all Logistics activities; handles warehousing, fleet management, purchases, transport and dispatch. This is a National/Resident position based in Hargeisa. Adheres to the monthly reporting timelines. Possessing a strong degree of honesty and integrity, and a solid sense of ethics including the ability to appropriately handle confidential information. 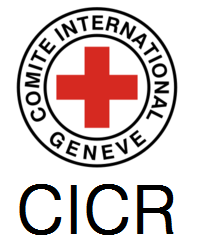 Apply by sending your cover letter and CV addressed to the Human Resources Manager, ICRC Somalia Delegation, on the email address [email protected]. Your cover letter must indicate your current salary and your expected salary range. The closing date is 11th March 2019. Please indicate the position title in the subject line of your email message. Please note that only short-listed candidates will be contacted and canvassing will lead to automatic disqualification. Any enquiries about the position should be addressed to [email protected].